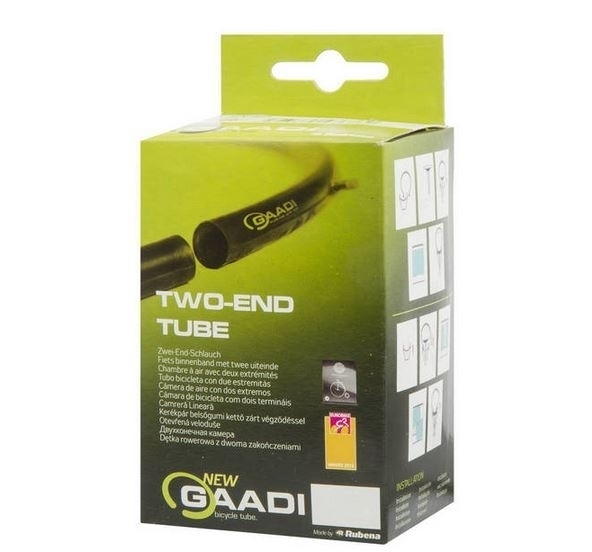 Product information "Gaadi Two-End-Tube 28" AV"
The Revolution on the Bike Tube Sector. Easy to fix a flat tube without deinstall the Wheel. Related links to "Gaadi Two-End-Tube 28" AV"
Customer evaluation for "Gaadi Two-End-Tube 28" AV"